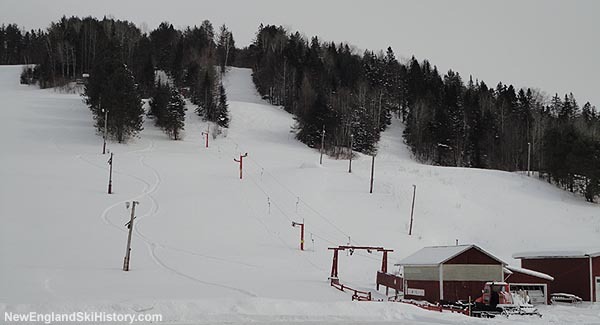 Located east of downtown Lyndonville on the northwest slope of 1,523 foot Shonya Hill, Lyndon Outing Club's ski area has home to lift served skiing for decades. The origins of the Lyndon Outing Club ski area likely date back to early 1937, when the Lyndon Outing Club held its first meeting. A small rope tow served slope was opened soon thereafter. Circa 1947, the ski operations were relocated to a larger site on Shonya Hill. In 1949, Lyndon Outing Club, Inc. was formally registered in the State of Vermont. 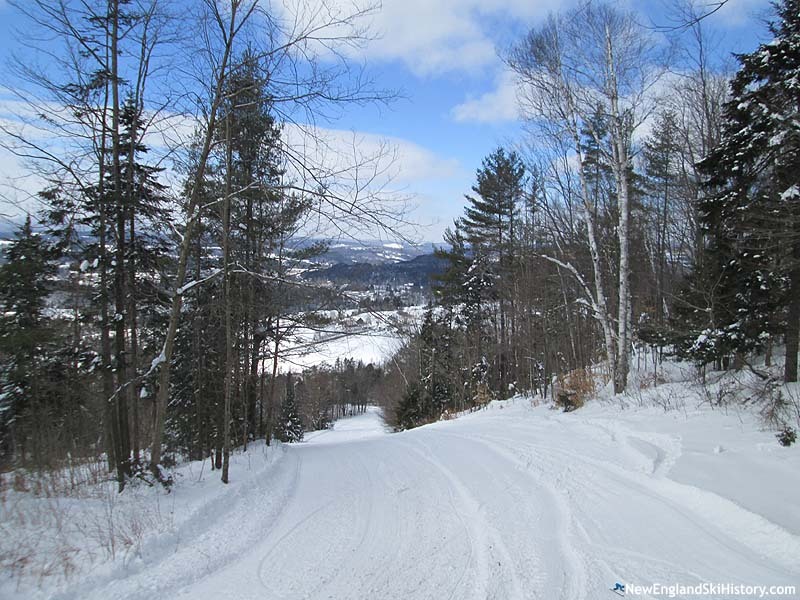 Circa 1972, the town of Lyndonville was able to procure federal funds to purchase the ski area property. In the early 1980s, the Lyndon Outing Club was able to facilitate the purchase of the Toll House T-Bar from Stowe, eventually installing it as its main lift. For the 2007-08 season, Lyndon had a record early opening thanks to abundant snowfall, firing up the lifts on December 9th. The ski area faced some struggles in 2011, when issues with the T-Bar forced the ski area to shut down mid-winter. Volunteers rallied and had the ski area operational again for the 2011-12 season. The Lyndon Outing Club ski area continues to operate to this day, featuring the T-Bar and night skiing. The slopes currently rely on natural snow. Other activities, such as nordic skiing, snowmobile hillclimbs, and skateboarding also take place on the property.
" I remember back in the fall of 1961 Stu Comstock, Doug Miller and myself used to spend most of our weekends helping to put together the first T-bar at Lyndon O. C. It was made from scratch. We were boarding students at L I. Would like to know long that ran." "It was great to see so many people at the hill this weekend now that we finally have some snow. Come check us out. Our website is at: www.skilyndon.com and you can also find us on facebook."